Smartphones these days have been jacked up with so much power that all types of people get something to desire, from photographers to music buff’s to gamers. When first time it was heard that Nvidia would be making chip sets for many android phones and tabs. It brought chills to alot of people, after this became a reality, there has been no looking back. Recently Nvidia released its new Tegra 3 chipset called the 4-PLUS-1. It has four processing cores with a 5th Battery Saving Core and a 12 core GeForce GPU. At the Mobile World Congress in Barcelona a bunch of eye-popping new games were shown by Nvidia specially optimized for the 4-PLUS-1 chipset. A bunch of titles debuted at the congress, some of the major title were Golden Arrow THD, Dark Kingdom THD, Eden to GREEEEN THD and Hamilton’s Great Adventure THD. A lot of gamers would be familiar with a flash game called Golden Arrow , well this is NOT that one, this is an action, hack and slash game with beautiful textures, soft shadows and hig dynamic lighting, all powered by the Tegra 3 processor. This game will be available on smartphones as well as tablets. This is a game which truly uses the full power of the Nvidia PhysX engine, showing of high resolution physics particle effects. 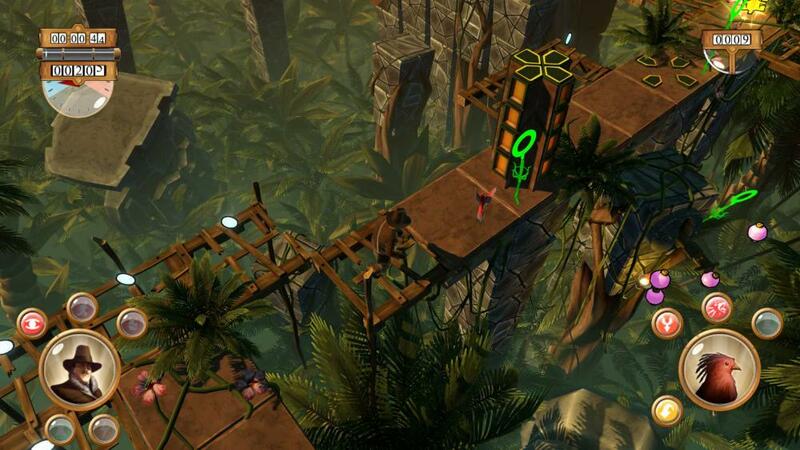 In Dark Kingdom THD you play the role of a son trying to find the whereabouts of his missing father at the tower of gods. On your journey you collect spirit stones and rune stones to upgrade weapons, armory and skills. 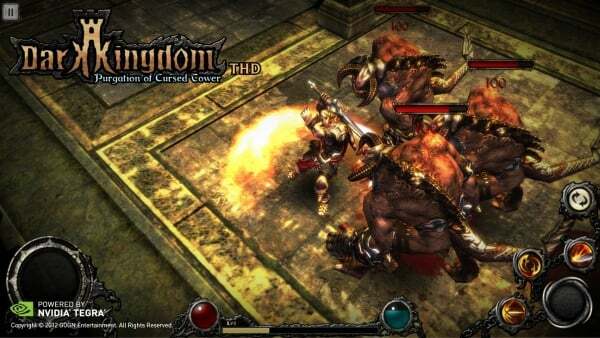 Its a beautifully designed RPG game with 450 player skills, ambient lighting and great effects. Now the above two mentioned games will surely cost you a dime but worry not, Nvidia also had some free-bees in mind too. Eden to GREEEEN THD is a game with high-quality textures, quad-core scaling and more detailed models which are built on the Legendary Unreal Engine. In this game you have to take care of Eden’s beautiful flora which survived the invasion of alien machines come to get our natural resources. This game is for the type of gamers who like to use their head in solving puzzles rather than slashing the head of a ogre. Hamilton’s Great Adventure has you tackling daring, new levels with your trusty sidekick, Sasha the bird. The graphics of the game can easily rival the experience you would find in the PC version of this game. Hamilton’s Great Adventure’s graphical scaling have been optimized taking into consideration Direct X 11 engine.